First of all please make note of our new location. 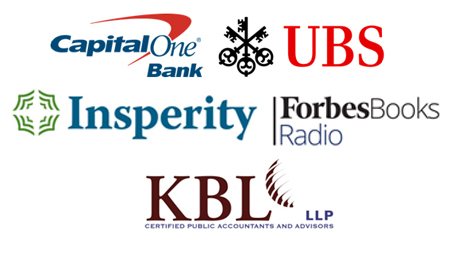 Also we welcome our new sponsors, UBS, Insperity, and Forbes, as they join Capital One Bank and KBL to help you get your MOJO going. Our first session,How Blockchain Technology Is Transforming How We Do Business, will include a discussion on the revolutionary new technology, Blockchain, and will also touch on the cryto currency industry. We look forward to seeing everyone.